What’s up with the Duffey Lake Road Webcam? *UPDATE November 19, 2014: Our Highway Cam Guy completed the installation of a new camera on Duffey Lake Road yesterday. The updated cam uses more advanced technology that has recently become available. This will eliminate our need to fly to the mountain top when things go awry as the equipment will be available for servicing at the road side. You love BC Highway Cams and so do we. Our network of more than 400 webcam views of BC highways works exceptionally well to keep you in the know before you go. We monitor our systems around the clock to make sure they are working to provide you with a current snapshot of highway conditions across the province. But, like most complex systems, sometimes we run into technical difficulties. Enter the Duffey Lake Road webcam. We’ve gotten quite a few questions lately about this cam, which was down during the month of January and most of February 2014. Like some of our highway cams across the province, the Highway 99/Duffey Lake Road webcam relies on a radio repeater system to transmit images of current road conditions. The radio repeater station on top of Mt. Currie was having technical issues and those were interrupting the image for our webcam image in this area. Here’s a snapshot of the weather on top of Mt. Currie taken last year around this time in similar conditions. See that tower in there? 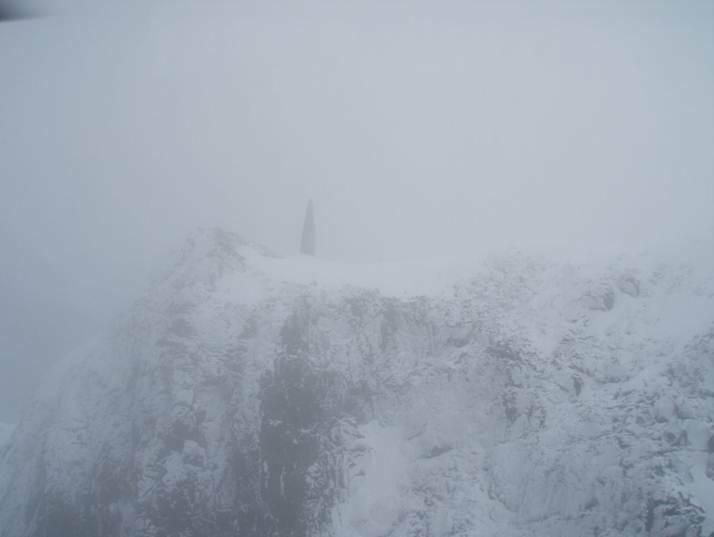 It’s 28 feet high, covered in snow and shrouded in mist. We understand how important this cam is to you and wanted to let you know that we were able to finally access the summit of Mt. Currie (Feb 2014) to make sure that this cam was put back in action! Have any other questions or comments about this or other DriveBC features? Let us know in the comments below. 37 Responses to What’s up with the Duffey Lake Road Webcam? It’s March 30 2019 and the Duffy Lake camera is out again and has been for weeks. The route should be clear now, so why hasn’t it been fixed? We have sent your question to our webcam team for response. Stay tuned. Hi again Rich – our tech is planning on visiting the site this week to replace the camera which suffered a complete failure a month ago. The hope is the visit can address the issue entirely, however if the extent of repairs require more work, it could be a couple of more weeks. Sorry for any inconvenience, we appreciate your patience as we work to fix the issue. Is the Duffy lake road open? Sorry for the delay in getting you a response. We believe that Duffey Lake Road may have been closed for avalanche control last week. DriveBC would be the best bet to get confirmation of this (and to get up to the minute road condition information). Hope that this helps! Our webcam crew are working on getting this cam back in action as soon as they can. Due to recent snowfall, the batteries have stopped being able to hold a charge and we have ordered new ones. As soon as we have them in hand, one of our techs will visit the site, install the new batteries and get the cam back in action. Thanks for your patience! Here it is JANUARY 9, 2017….and the Duffy webcam is STILL not working? What is going on? This is THE most important time for it to be operable!! Get on it….what are our gas taxes for anyway? Thanks for your comment and for letting us know your frustration. We have sent your concern to our webcam team for follow up. Most important time of year to have the webcam pics of the Duffy. of weeks. Hoping its fixed soon for the holiday travellers. Thank you for connecting with us here and for your concern about the Duffey Lake Road webcam. We understand how important these cams are to the local communities they serve and appreciate your patience while we work as hard as we can to get them back up and running. We asked the webcam guy about the Duffey Lake Road camera and he told us that the camera went down on Wednesday, Dec 7 morning (9:05 AM) and we got it back in action on Monday, Dec 19, morning (9:34 AM). When any webcam goes down, it takes time to diagnose the issue, to source parts if necessary and to get out crew to the site in order to make the repair. We hope that this helps answer your questions! Hi there I’m wanting to drive home to Pemberton this weekend (Saturday late morning) but am worried about the conditions as I know we are expecting a snow fall. The camera seems to still be not transmitting, is anyone aware of current conditions on the road? Sorry we missed this message. Your best bet for up to the minute information on road conditions is DriveBC. If you can’t see the HighwayCams you need, you can also read current road condition information and view weather forecast and (wherever available) pavement surface conditions, etc. This camera has been showing a delayed transmission for a couple of weeks now. When will it get fixed? Thanks! Hello, just wondering if you guys know about the light not working on the Duffy Lake camera. I travel the Duffy quite a bit and use DiveBC Webcam often when I travel. Unfortunately the light hasn’t been working for quite some time now. It wasn’t too much of a concern in the summer, but now that it’s winter and snowing, I figured it would be fixed by now. I guess my question is: if and/or when this will be fixed? We contacted our HwyCam Guy with you comment and he informed us that they are aware of the problem. They’ve done some initial testing and it appears the illuminator that comes on when the camera is ready to grab a shot, has failed. They are continuing to test, but it seems likely this component will be replaced very soon. We currently don’t have an estimate on when the replacement will occur, but we are doing the very best we can to get it up and running as soon as possible. Hope that this helps! Thanks for letting us know. Looks like weather information is being collected now. What’s up with the Duffey lake webcam? I am wondering if the weather data associated with this webcam is available? Please let me know. We do have a weather station about 1.4 KM west of the camera location at Duffey Lake, that might help you decide whether to drive or not. I think there’s good information this station that would be a of great interest to you �”mainly air temperature, precipitation, snow accumulation and depth of snow on the road. Have a look at the DriveBC.ca site in the “Map View” �”you can turn the various layers using the Legend on the right side of the map. Make sure you have the “Current Weather” box checked. Then you can zoom into the area and find your weather data (Cayoosh). Hope that this helps! Great job getting the #DuffeyLakeRoad #webCam back up & running. It & the weather station are so important to travellers on the Duffey & all the #Backcountry #Skiers & #Snowshoers too. Almost all of our #winter guests use it. I had so many comments about its usefulness. I’ve put a link on our Hotel’s main web page right to it. Is there a URL for the weather station that you can send me? Posted Myson Effa manager Pemberton Gateway Village Suites Hotel. PS keep up the good work! Love the new cameras in Pemberton Jnct Hwy99! Thanks for connecting with us. We check in with the webcam team – they are aware of the issue and working to correct it as soon as possible. We just received word that the Duffey Lake cam is back up and running! thank you for fixing the issue ! I am glad the camera is back online. Hi Michael – we are too! Thanks for the feedback. you know if you can’t keep it up(down for too long), just give up and shut it down. so disappointed with this camera . Our Highway Cam Guy completed the installation of a new camera yesterday. The updated cam uses more advanced technology that has recently become available. This will eliminate our need to fly to the mountain top when things go awry as the equipment will be available for servicing at the road side. Any updates on when it it will be up? Thanks for connecting with us here. Our technicians are working to get the camera back up and running. There continue to be some ongoing challenges – mainly our original strategy to address these issues has been unsuccessful, so we’re in the process of investigating more advanced technology that has recently become available. We trust this will improve the performance of the current camera. We do have a weather station about 1.4 KM west of the camera location that present information that might help you decide whether to drive or not. The information from the weather station includes air temperature, precipitation, snow accumulation and depth of snow on the road. Have a look at the DriveBC.ca site in the “Map View” -you can turn the various layers using the Legend on the right side of the map. Make sure you have the “Current Weather” box checked. so it is now October 27 and the Cam is still down ? Soon… yes, but I’ll double check the status of the upgrades for you.